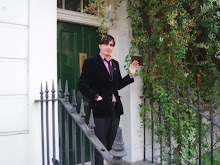 THE EDDIE ARGOS RESOURCE: The Great Escape Brighton. 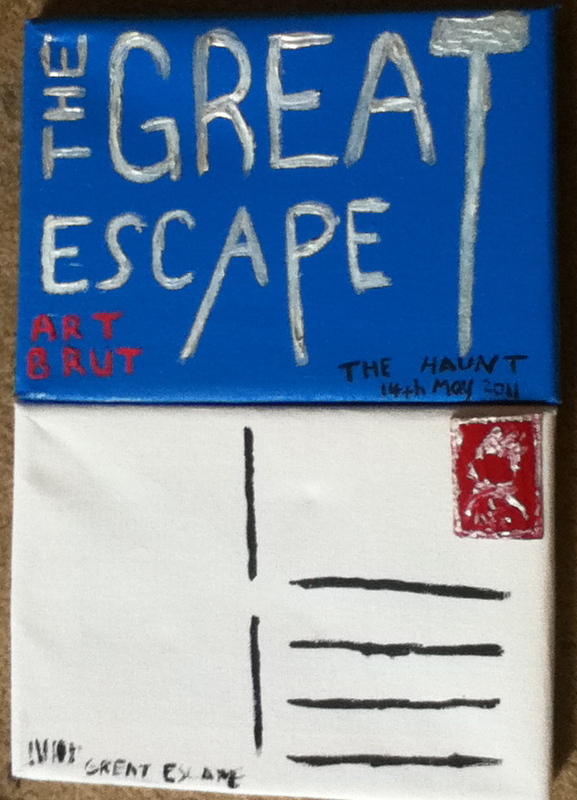 We played the Great Escape in Brighton on Saturday. I had so much fun that I didn't even mind having to miss Adam and Joe and Doctor Who to do it. The version of Modern Art we played got so long an improvised that we had to drop 2 other songs off the setlist. One day soon I'm sure we are going to end up playing Modern Art for 1hr45min I apologize in advance. It was a lot of fun and nice and busy. Due to the nature of the festival though the venue threw us out IMMEDIATELY after we played so they could put on a club called 'Back To 1985'. I decided not to stay for that. It is a painting across two postcard sized canvases. I fill in the 'back of the postcard' canvas with what happened and address it to you and then pop it in an enevelope with the other half of the painting and send it you. Eddie played me a birthday song, at a van behind Brighton Dome too. I'll remember that till I'm deed!